Bell released information about the new Bell Star racing helmet last October, which has some incredible new features that make it the most important helmet to be released in decades. This new video for it explains more of the features and, more importantly, has some insanely beautiful riding shots. Thunderhill is one of my favorite race tracks on the planet. Maybe this makes me a spoiled brat, but every time I get an email about some new launch on some track in Europe, I always email back and ask if they’ve thought about T-Hill instead. 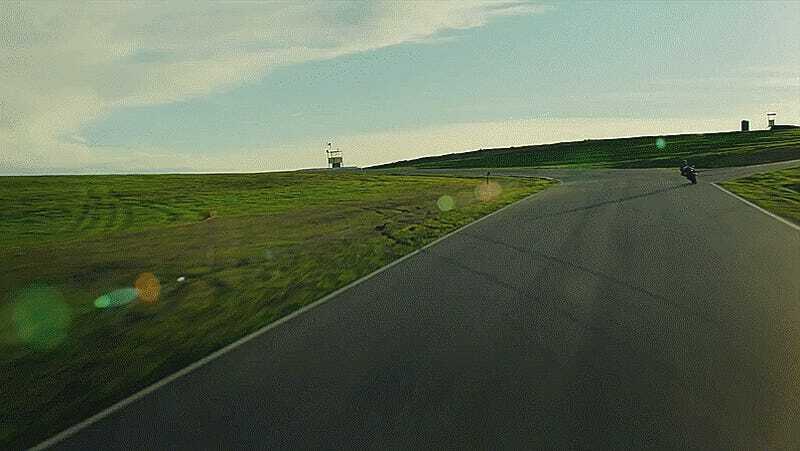 Catch it before it turns brown, like the guys at Bell did, and you’re transported to a dryer version of the Scottish highlands, surrounded by the greenest of greens and no one but cows to watch you lap the track. While I’ve always been a huge fan of their off-road helmets (I pretty much only wear 6D or Bell in the dirt), their street options have never really blown my mind. My Bell RS-1 is a really nice helmet for the money, especially with the transitions lens, but the shells always feel massive compared to other helmets I have and tend to buffet a lot at speed. Bell is making some big claims addressing just that, so I guess we’ll have to wait and see how it stacks up when we ride in it this summer.